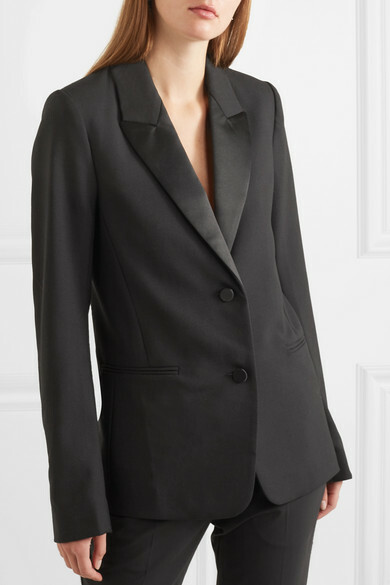 Victoria Beckham often includes at least one really beautifully tailored blazer in her collections - for Resort '19 it's this classic single-breasted design. 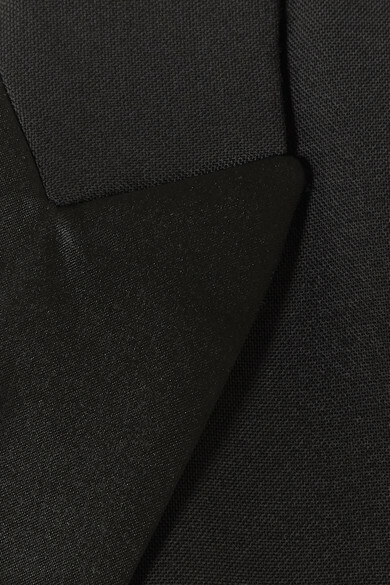 With satin lapels and a contoured waist, it's a perfect option for formal office wear or evening events. 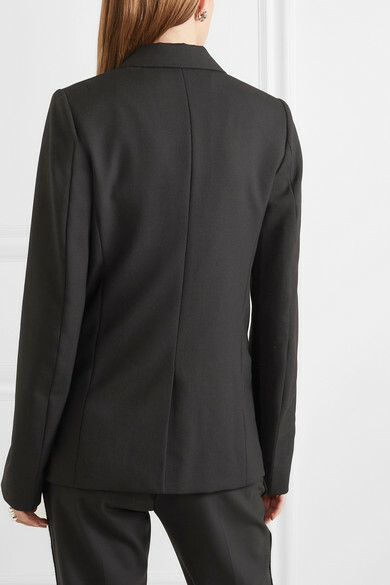 The fastenings are high enough to wear with nothing underneath, but come winter you'll want to layer it with a fitted turtleneck. Shown here with: Victoria Beckham Pants, Galvan Camisole, Victoria Beckham Tote, Stella McCartney Mules, Kenneth Jay Lane Earrings, Sophie Buhai Rings.